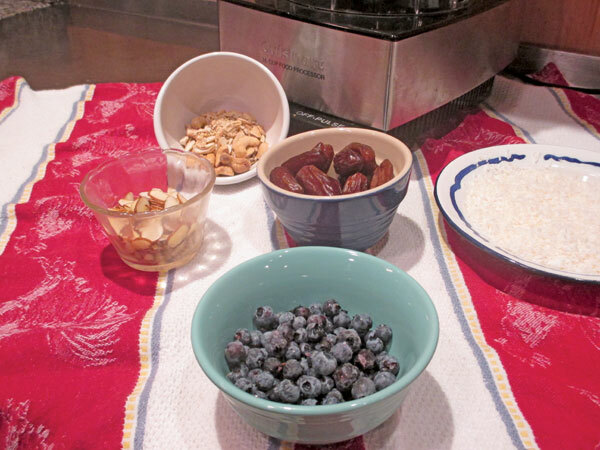 Store these nutrient dense snacks in the freezer and pack in the lunchbox for a quick return! 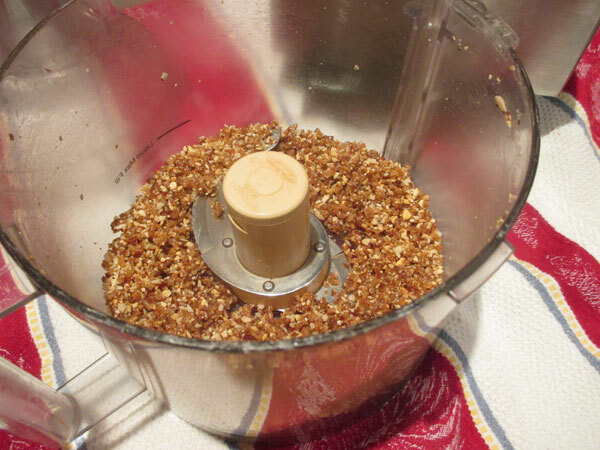 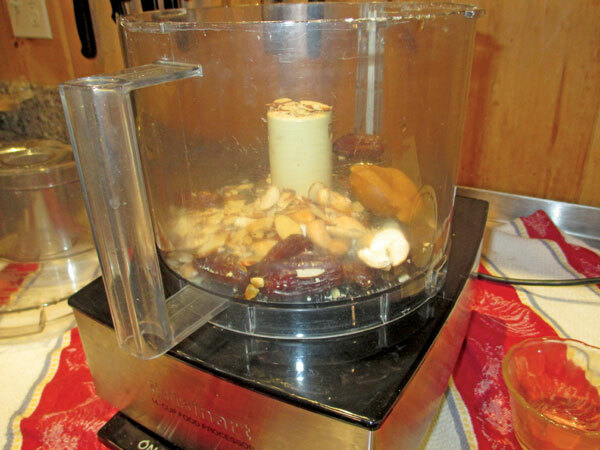 Combine the dates, nuts and nut butter in the bowl of your food processor. 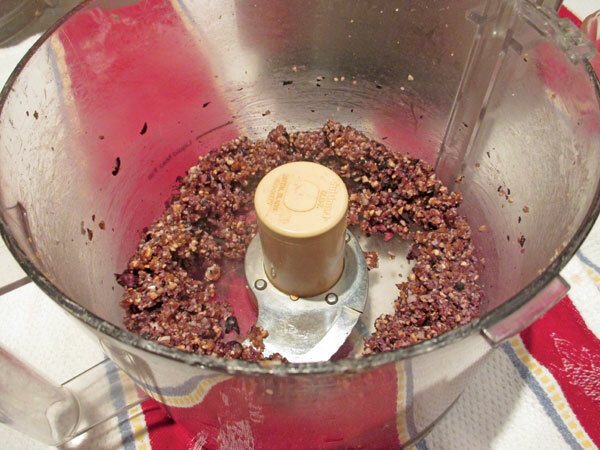 Add the frozen wild blueberries and pulse until well combined. 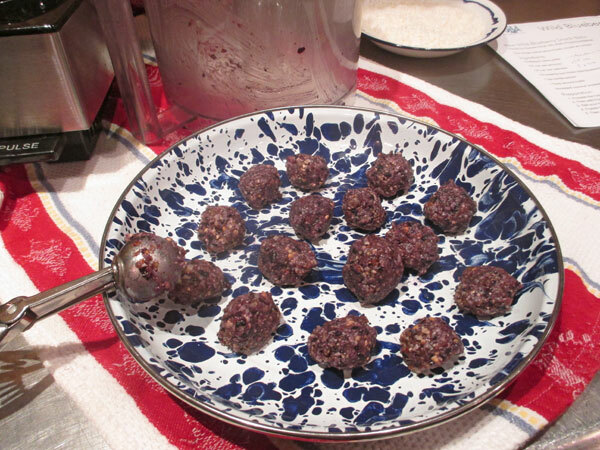 Using a scoop, portion out the mixture and roll into balls. 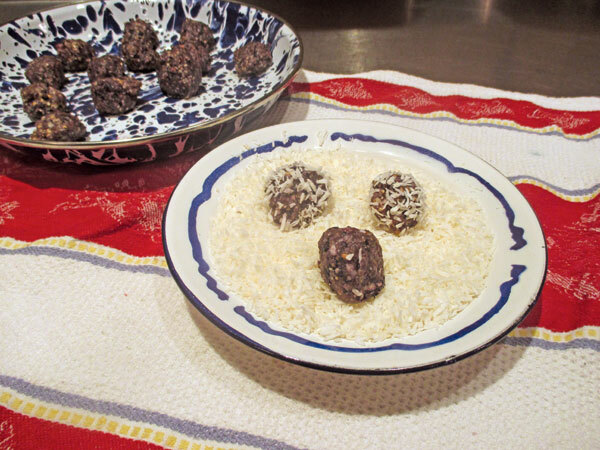 Roll each ball in shredded coconut. 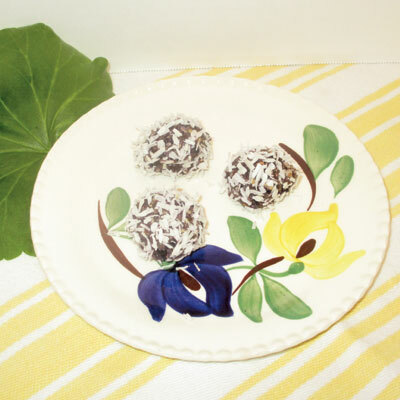 Nutritional analysis per ball: 54 calories, 1.2 grams protein, 7 grams carbohydrates, 3 grams fat, 8 mg. sodium, 1 gram fiber.